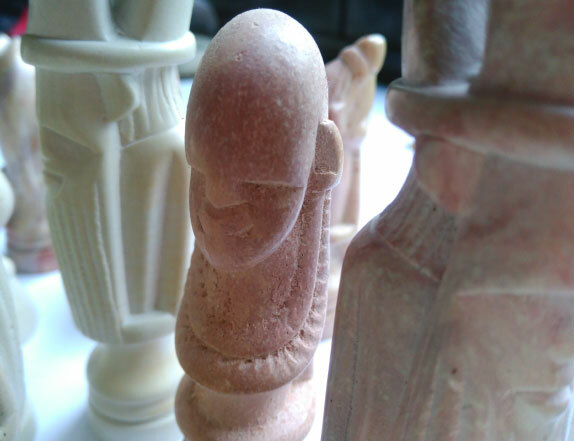 I bought these chessmen about twenty years ago at half price, if I recall correctly, from Trade Aid in Nelson. The board that went with them was broken in half. I think I still paid $90 for the set. The board is probably still in storage somewhere; I haven't seen it for years. 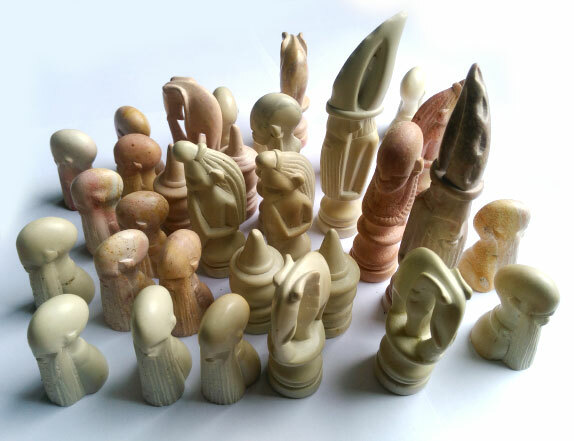 The sandstone chessmen aren't the most practical to use (very non-standard style and the Kings are taller than ideal), but they must be some of the best-looking pieces you'll find. 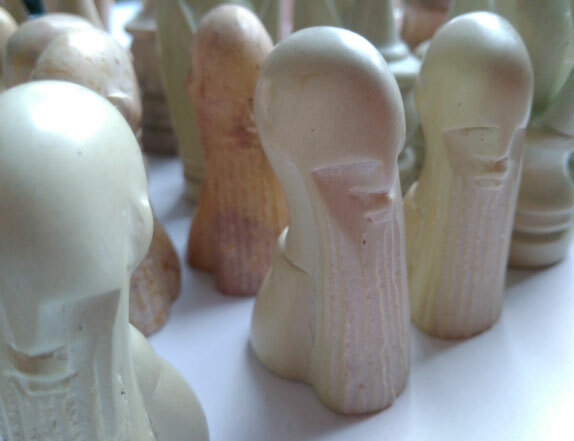 After not knowing where they were for ten years or so, I stumbled across them last year, inside a games table from my childhood that had been put into storage.